My wife and I have been very impressed with the excellence of your service and friendliness of all your staff with whom we have had dealings. Many thanks for all you did and for the way in which you did it. Outstanding in every way. Efficiency, knowledge, advice. Excellent value for money. I cannot speak highly enough of both lawyers who dealt with my legal matters. Amazing. All other staff were also wonderful, polite and efficient. I would like to add how very happy and satisfied I was with Ian. He handled my case so efficiently and with such precision. I could not have been more pleased with the outcome and would highly recommend Ian's service to anyone. Very impressed that Carolyn Thomas handled my sale and purchase at the same time so that the business was finalised as quickly as possible! So efficient! Thank you. I could not have been more pleased with the service provided by Julian and his team. Fast, extremely efficient, courteous and always keeping me informed of progress. Thank you all. With regards to our Wills we would recommend Naomi and Philippa for their demenour and communication skills in this and previous dealing. “Julian Parry provides a fast, efficient, friendly service with tactical advice in non-legal language”. I could not have asked for a better service. The advice I received gave me every confidence and what could have been a very difficult stressful situation was made much easier by the smooth, professional, expert way in which my divorce was dealt with. I would highly recommend Helen for anyone facing a similar situation. I cannot thank Helen enough for the speed at which everything was resolved and the result of which was more than I could have hoped for – I am very relieved and happy. I will definitely continue to use Beers as have previously for property and soon will need to complete a will. Many, many thanks. Very efficient service as ever from Beers. Firm tend to have certain cultures which in this case is positive and professional and that appears to permeate through to your staff and is something you should be proud of. Dear Sonia Just a couple of lines to say thank you very much in sorting our problems out also thanks to Corinne for her help as well. We could not have done it with out you. Just a few words of thanks for the way that you handled the sale on our house. It was all dealt with speed and efficiency and was not in any way a "Chore" for us. My estate agent recommend three legal practices to undertake the conveyancing. I chose Beers because from the outset the team have adopted a professional, kind and courteous manner - helping me to feel confident about the process ahead. The costs are realistic and the interactions/interventions so far with Claire and her team have proved positive, warm and helpful. We would like to thank you for the very efficient way you dealt with our house purchase. The whole process went so smoothly and was well within our deadline. A service to recommend. Thanks very much Claire! You and your team have made this whole house buying process a lot less stressful than I was expecting. I shall definitely be recommending you to any friends and family looking to buy in the future. Me and my family would like to thank James for his help/support and great work ethic in successfully winning my case. He not only got a great outcome for us, but helped to set up a financial secure future for me and my family. It seemed to go on and on but James was there throughout with his helpful support and advice. Once again thank you from myself and my family. 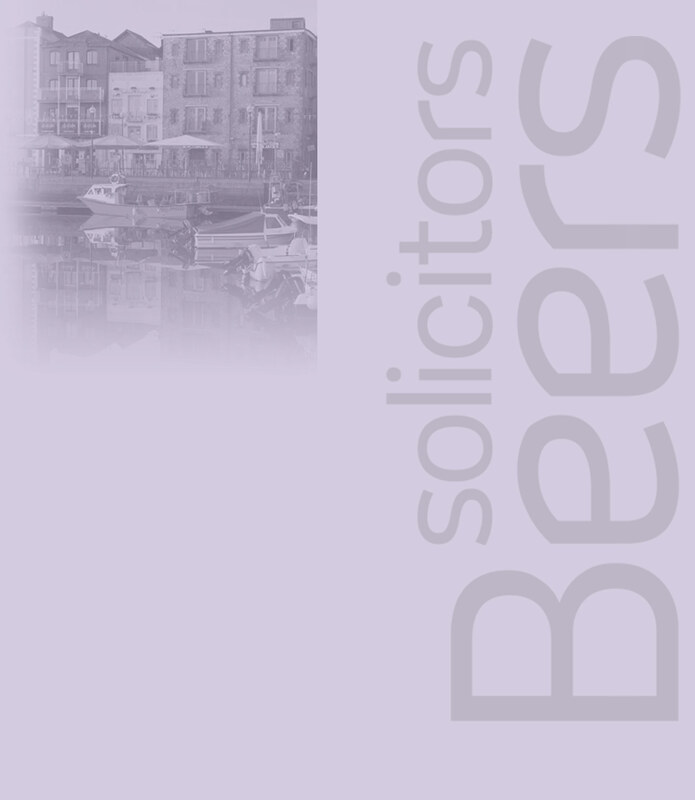 Beers is a long established firm and the branch in Kingsbridge has staff who have been there for many years. Beers has dealt with my and my husband's affairs for thirty years and I feel comfortable knowing I can rely on their advice whatever problem I may have. Thank you for making a stressful time much easier to deal with! Claire was supportive and reassuring throughout the process, and explained everything to us at every step. She was friendly, warm and approachable, and I would definitely recommend to anyone. Thank you again. Very efficient service as ever from Beers. Firms tend to have certain cultures which in this case is positive and professional and that appears to permeate through your staff, and is something you should be proud of.